You are looking for a new winter break destination? 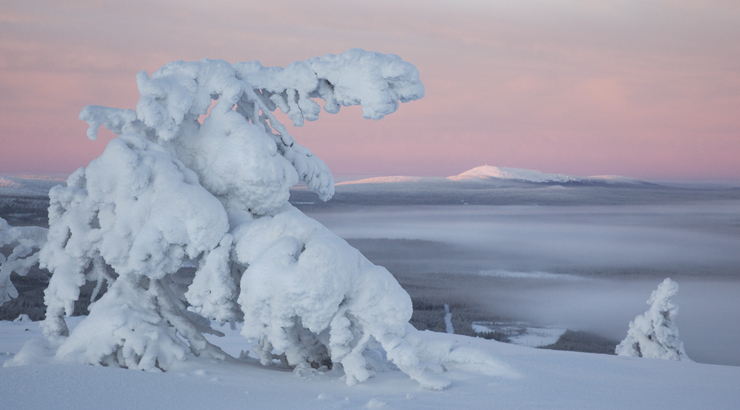 We have a suggestion for you: explore the Pyhä-Luosto ski resort in Finnish Lapland. Located at only 1h30 from Rovaniemi, in the region called Itä-Lappi (Eastern Lapland in Finnish), the Pyhä-Luosto fells are easily accessible by car or bus transfers. The fells chain of Pyhä-Luosto is one of the oldest in the world and considered, in the old times, as the home of gods by the Forest Sámi who were living in the area. It was then a great reindeer hunting ground long before reindeer husbandry begun. Actually the word Pyhä means sacred in Finnish language. The region also has a long tradition and history for logging in the 19th and 20th centuries when logs were transported on the Kitinen and Kemijoki rivers down to the Bothnian Gulf. The Pyhä-Luosto National Park offers great opportunities to explore the Lappish nature. Finland’s deepest ravine, Isokuru, is located there, along with beautiful pine forests, where some trees are 400 years old. You can find a diverse selection of well-maintained trails to discover different parts of the park. A different way to experience the Lappish nature is to stay an overnight in a wilderness hut in the national park. You can ask for more info at the Visitor Centre Naava. Here are our suggestions for sporty break in Pyhä-Luosto. 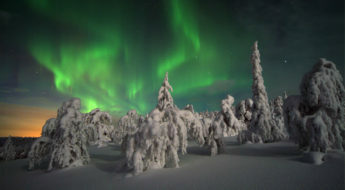 The mid-winter and spring are the best seasons in Lapland to spend time outdoors. 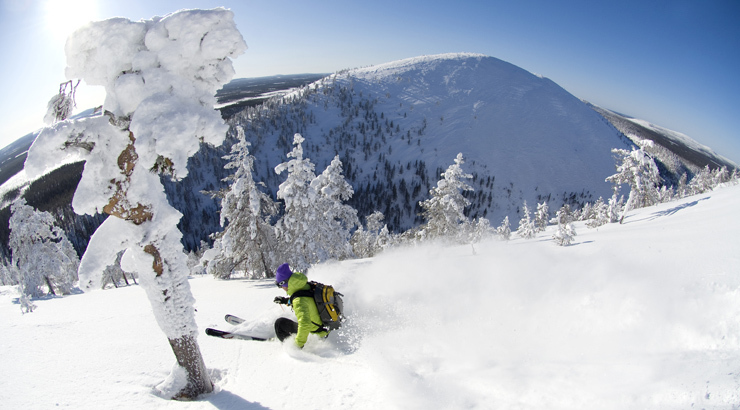 Pyhä-Luosto ski resort offers a good choice of outdoors activities you can do by yourself or on guided tours. Hiking and nature trails can be used as snowshoeing tracks during winter. On the trails, take a break in the shelters to light up a campfire to enjoy hot drinks and snacks before continuing your journey. No need to bring your snowshoes with you, as you can easily rent them on the spot. Pyhätunturi is one the go-to-spots for Finnish freeriders in Lapland. You too can participate in one of the guided backcountry excursions to discover the other side of Pyhä. Pyhä–Luosto has more than 150 km of cross-country skiing tracks to explore the area. As cross-country skiing is one of the most popular and traditional sports in Finland, it is a great way to meet with locals. The Tajukangas icefall is 30 meters high and gives you the opportunity to try ice climbing. From beginners to more advanced climbers, it is one of the rare spots in Finnish Lapland where you can practice this activity. Fat biking is another cool way to discover the surroundings or Pyhä-Luosto. Made especially for snow, these bikes will take you literally anywhere you want: very easy to handle, and no need to be super fit to enjoy the pleasure of riding a bike on snow. Where to stay in Pyhä-Luosto? To get most out of your active holidays in Pyhä-Luosto, we highly recommend you to explore the cottages available in the region. 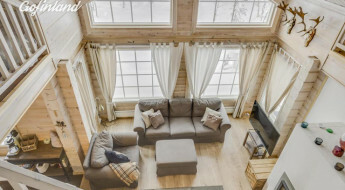 In the area, you can find from traditional styled to luxurious cabins, all with fully equipped kitchen, sauna, chimney and a warm atmosphere to relax after a great day outside. Very often located near cross-country skiing slopes, you literally have the Lappish wilderness at your doorstep.